Look up to a clearly better choice. 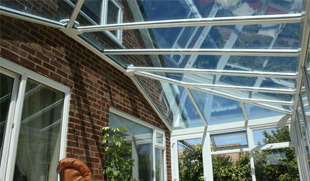 Choose real glass over polycarbonate for a conservatory roof and count the benefits. 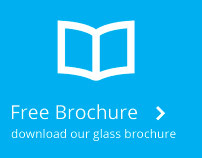 Looks great: Real glass looks more stylish and blends better with glass walls. 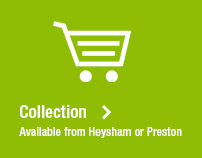 Sounds great: Keeps out more unwanted external noise and it’s quieter in heavy rain and hailstorms too. 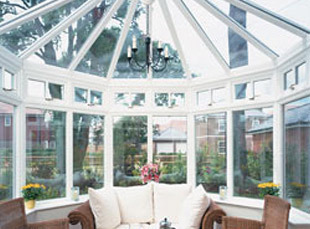 All conservatories can be instantly transformed to create a light, bright, practical room for your home. 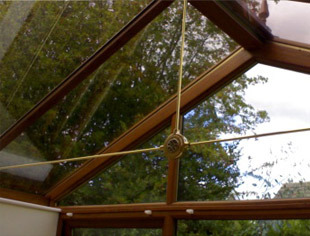 Roof Glass massively reduces noise interference by comparison to plastic polycarbonate roofs. 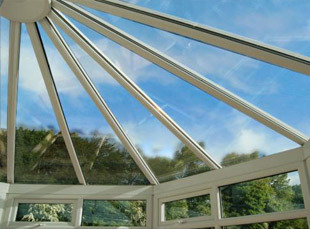 Roof Glass offers excellent protection from the sun’s harmful UV rays. 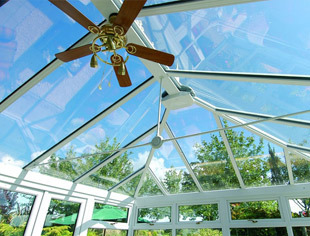 Roof Glass is a true self-cleaning glass which aids the cleaning process. 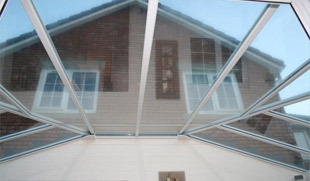 Roof Glass has a striking appearance, opening up the space where views of the garden and sky can be more appreciated and visually improving the look of your home. Look up from the inside and see totally clear and un-obstructed view of the sky above. 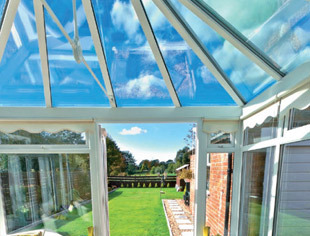 Keeps you in control, you choose the level of sun and warmth you want with self cleaning glass and a wide range of solar control tinted glass. 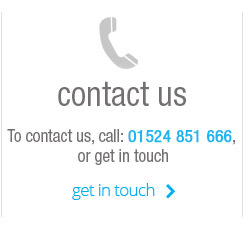 Youre covered; class A toughened glass is your assurance of safety. 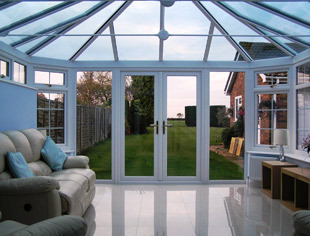 Remember, you can choose a combination of low E coatings along with a window range of tinted SOLAR control glass.